Mr and Mrs. Wheres Waldo? 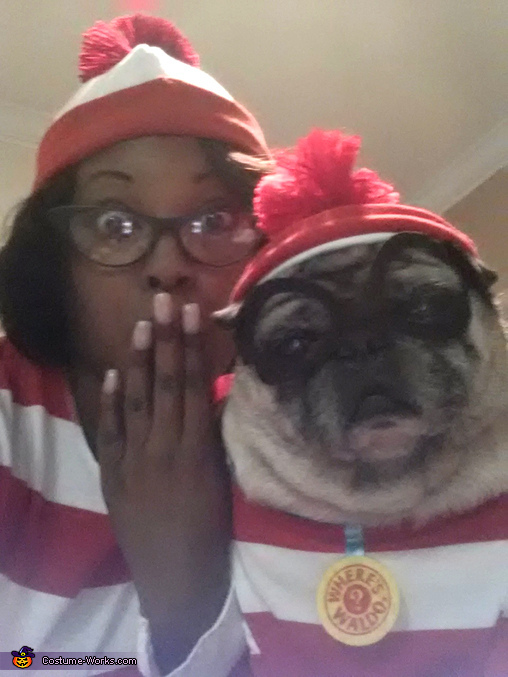 I was Waldo's female friend and my dog tony was Wheres Waldo! He was very patient as i his mommy put this costume together for us.